Having been an infant massage instructor for the last 2 ½ years I have been privileged to meet many parents and their babies. I feel touched to witness such an intimate bond and see parents from all walks of life learning this skill to take forward well into their little one’s. As a parent myself I have attended my fair share of baby groups. In fact, with my first daughter I went to at least 6 a week. They were my salvation but also the place I would compare notes, establish if what my daughter was doing was ‘normal’ and a place to meet other mothers. However, they were also a place where, unwittingly, we would all compare. Myself included. Asking one another if our babies were rolling/ clapping/ crawling/ smiling/babbling yet. And mostly if they were sleeping. The groups that offered me so much in one way were also a place where I often felt alone if my baby was the only one not doing any of these things. Another thing I noticed as my daughter grew was that there were hundreds of ways people chose to parent, and whilst at first these were discussion points, for example, “oh you don’t breastfeed?” or “you put your baby to bed at 9pm”. They also became judgements. I too was guilty of this. Imaging those who made different decisions to me to be ill informed or plain wrong. Sometimes these different approaches seemed insurmountable and almost like a barrier to friendships. I remember quite clearly being twelve, my mother had been in hospital for a long time. A family from school had been helping to care for my brother and I after school and overnight. So too had a neighbour who had lost her own young son, and whom we had only just met. An unexpected visit home from hospital brought my mother, stepfather, brother and I to the house of some wonderfully kind friends for Christmas, where we all opened Christmas gifts which had somehow made it to their house. In amongst all the excitement of present unwrapping, both my brother and I were gifted hand knitted dolls, a girl and a boy, from our great grandmother, Nanna. These gifts were wonderful, even at the ages of nearly twelve and nearly ten. Our friend’s children felt less satisfied with their gifts and complained about the colours, the sizes and that things weren’t exactly what they had asked for at all. Since becoming a parent, I have often pondered and have asked my own Mamma, how did she raise us to be appreciative, for us not to question gifts and to be so very thankful for what we were given? Some days, when I feel my own four children are less than appreciative of what we as parents help them with, but are also not quite so tolerant of their own siblings or of what other families struggle with on a day to day basis, it makes me question even more so how my own mother raise us to be thankful? There is a world’s difference between being able to say thank you and being thankful. In the Spring, when we move into the house, we take down the six foot fence which runs bizarrely though the middle of a flower bed and extends nearly half way down the garden. Daylight floods the garden and we find another two or three feet of land which is also ours, plus a hedge struggling to survive in the gloom. I cut back the hedge and save all the beautifully straight lengths of wood. I pack them tightly all together, tall and strong, in endless odd buckets rowed up along the patio. The children ask me what they are all for. I tell them I have a plan. We find a long established and sturdy bay tree in amongst many other shrubs at one end of the old fence, near to the house. I shape and cut away all the under branches and make a space, a cosy hidey hole, a den, just big enough for my little people to get into. This space is part of my plan. We are out the back playing, when my friend calls to say he is at a local wood store and there are pallets going for free if we would like some? He thinks he can fit two into the back of his car for us and drop them round. I am so excited. I have been trying to lay my hands on a couple of pallets for a while now. I have plans for them too. I love to grow food. There’s something amazing about creating a dish around food that has grown through your attention. I love to garden. But as much as I love to garden and grow my own food, I am very sporadic about it, to say the least. As with my many passions in life, I go through cycles of things, and gardening is one of them. I’ll have a week where I’m set on attacking a part of my yard, and do so with great conviction… But the next week, I’m into crochet or drawing or golf. I don’t easily stick to things. And with my busy mind, I’ve murdered more than one plant. Hand Foot and Mouth Disease sounds pretty scary, but actually it’s a relatively harmless virus which is self-limiting and therefore burns itself out within a week or two. Saying that, it’s incredibly unpleasant and can affect children and adults in varying severities. Treatment is usually rest, as there are no conventional medicines available to control it. The first sign is a fever or temperature. This is then followed by a general feeling of being unwell, exhaustion, and finally spots. Lots of spots! The spots look like pimples, and they disappear when pressed with a glass. Life’s greatest miracles happen in the first there years. That is certainly the impression you can have as parent. Birth – wow! The absolute miracle of this little being full of life. Then in the first weeks and months the eyes and facial expressions come to life, so full of love and trust – they are enthralling and enrapturing. Then after the first year, grasping hold of the physical body, the child stands upright and makes those first steps. Following those first steps, another momentous stride takes place: learning to speak! At one year your baby will most likely just be experimenting with a few one syllable ‘words’, quite definite about what they mean but you may be scratching your head. How we’ve all listened in spell-bound charm as our toddlers emphatically say something like, ‘mmaah’, ‘daahh’, ‘nnaah’, twice, thrice, perhaps pointing to your nose to make clear to us unintelligent adults what is meant. A newborn’s first instinct is to feed and sleep in a pattern and quantity that varies from baby to baby. It is impossible to predict how a baby will adjust to life outside the womb and what to expect, as every experience can vary greatly. This means each parent must be flexible and patient during those first few weeks. I remember laying in my hospital bed following birth, my son swaddled comfortably in the crib next to me, just a few hours old. He slept all the way through the night and I didn’t sleep a wink because I was so eager to ensure his safety and wellbeing. We have evolved to instinctively protect our young and be on guard, which makes relaxing difficult from the offset. After returning home, he began waking every hour for milk and cuddles, which I was thrilled to give him, but exhausted responding to his regular needs. Life at the moment feels as if is going at a pace, racing ahead and away from me. Smoothing over the up and downs in friendships, keeping up with the demands which school and work bring, wanting to pull everyone just that little bit closer. It has got me thinking about just stepping back and reflecting on how I can make this parenting journey that I am on a peaceful one. I made a conscious decision many moons ago to parent without confrontation, without argument and without being authoritarian. Sometimes, when life gets fraught and we lose our way with it all, it is good to remind ourselves why we choose to parent peacefully. Recognising that our role as parents is to hold that place of safety round our children. Understanding that little things are big things, huge things even, to little people. Developing positive attachment and affectionate bonds. 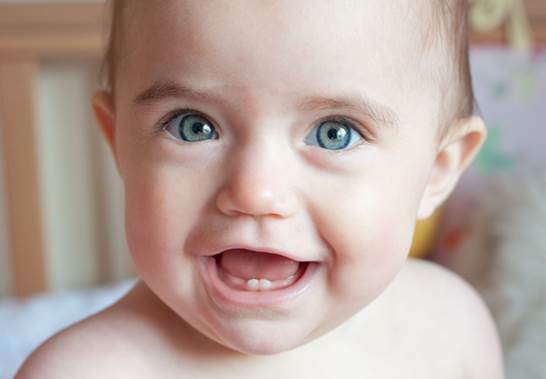 As you probably know a baby’s teeth, both the milk teeth and the second set which need to last us a lifetime, all begin developing while our baby is still in the womb. This article is about Homeopathy remedies you can use for teething pain, pain after a visit to the dentist, the discomfort/pain each time braces are adjusted and enamel repair. There were many things I wished for after I discovered I was having a baby. A stable home, good maternity pay, an easy birth, even a sickness-free first trimester! But above all, I wished for a healthy pregnancy and the safe delivery of my perfect baby. Many women like myself face one of the greatest personal tragedies imaginable: pregnancy loss. This can happen early on in the form of a miscarriage, or, less commonly, after 24 weeks which is known as stillbirth. Either way, loss is always heartbreaking and intensely emotional. My son was stillborn at 40 weeks. His name was Elijah, and my husband and I buried him a week after he was born. The grief that followed was limitless, and every aspect of recovery was difficult for both of us.